> Support > Resource > How to recover files from Fujifilm camera? "Hello. I have a FujiFilm FinePix Digital Camera with a Kingston memory card. I took about hundreds of photos with it. I accidentally deleted all of the pictures without realizing it. I forget to backup my Fujifilm camera with my computer. Is any way to retrieve or undelete them? They are important to me. I don't want to lose them. Please help! - Beata"
Fuji is one of the famous brands of digital cameras in the market. 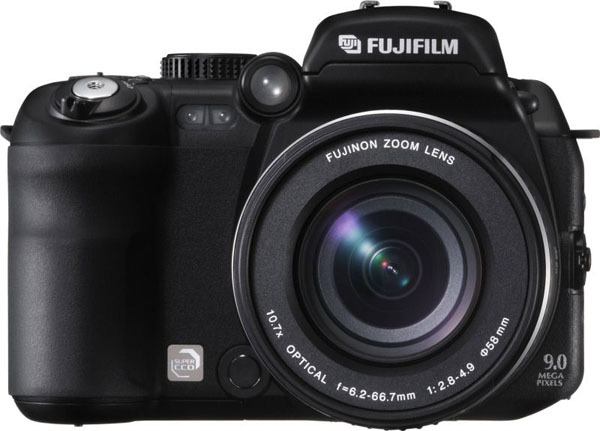 Most of photographers and amaterurs are using Fuji digital camera. And sometimes, we may delete or format files like photos and videos from FujiFilm camera. And it is possible to recover these files due to wrong operation or other unknown reasons. Amazing Dr. Recovery which acts as FujiFilm File Recovery software can help you retrieve all data from this camera. Fujifilm X10, X20, X100S, X-M1, XF1, X-E1, X-Pro1, and FinePix S4200, HS50EXR, HS30EXR, T400, F600EXR, XP20, XP30, XP20, S2950, X100, S2550HD, HS10, JZ300, F70EXR, S1500, Z33WP, F200EXR, S2000HD, F60fd, F50fd, Z5fd, S700, A600, and more. Note: Don't use your Fujifilm camera once you realize you have deleted photos or videos from the DCIM folder. Now let's learn how to recover deleted photos/videos from Fujifilm Camera with this program. Step 1. Download, install and launch Dr. Recovery on your computer. Please enjoy Amazing Mac Any Data Recovery if your are Mac user. Insert the memory card from Fujifilm camera into a card reader or you can attach it to your computer. 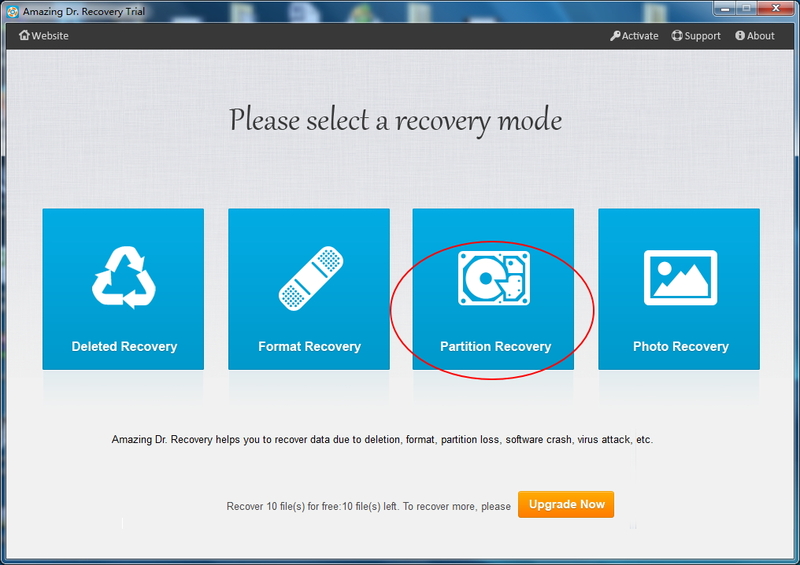 Select "Partition Recovery" and then it will take a few seconds to scan all storage devices on your computer. Your Fujifilm camera will be detected by Dr. Recovery as a drive letter. Select it and click "Next" button to continue. Step 2. After the data scanning, all files found by this program will be listed on the left of the interface. You are able to preview photos under the category. 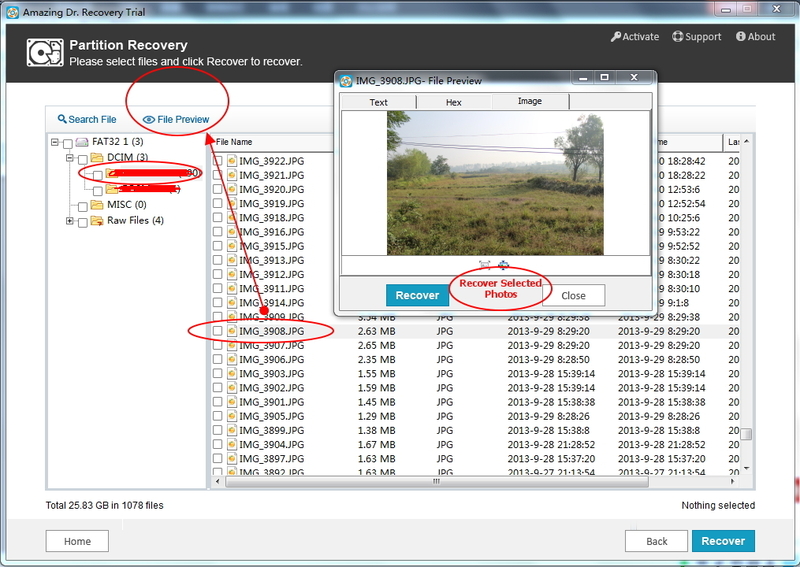 Ticket items you want to recover, then click "Recovery" button to get deleted files back from Fujifilm digital camera.